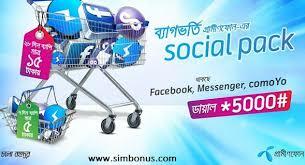 Grameenphone lunched latest social internet data packs for their customer. Available packs for 1 days, 7 days, 14 days & 28 days. usage for facebook, comoyo, messenger.